Order 2+ items to get $4 off, with coupon ORDERMORE2. Order 3+ items to get $10 off, with coupon ORDERMORE3. Welcome to Resetar Glass Art! I am a fused glass artist - creator of beautiful glass jewelry, plates and home decor. My studio is located just outside of Atlanta in Roswell, Georgia USA. I hope you enjoy your visit! Beautiful little orbs of colour, arrived quickly too! Very beautiful! Exactly as pictured. This iridescent fused glass plate coordinates well with sparkly Holiday decorations. Just finished filling the mold with glass frit and powder to make another floral plate. Very time consuming but the results are worth it! As the glass fuses the colors will change to brighter reds and greens. Cutting and assembling a glass plate. After cutting, each piece was outlined with glass powder as an accent. Ready for first firing in the kiln. After first firing, the piece is fully fused. Edges still need to be straightened with a grinder and re-fired to polish. The fused piece is placed over a curved mold and fired one more time at a lower temperature to slump into a plate shape. 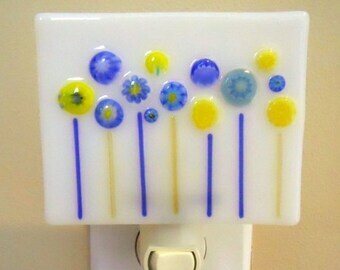 Creator of fun and affordable fused glass art for you and your home. Featuring handcrafted jewelry, plates and home decor. Welcome to my Resetar Glass Art store! I am a fused glass artist and I love all things glass. I've been creating kiln formed art for over 10 years and each piece that I make is hand cut, fired in a kiln and properly annealed to ensure it will last for many years to come. I sell the majority of my work online and through art festivals in the greater Atlanta area. My studio is located just outside of Atlanta in Roswell, Georgia USA. I am originally from Nebraska but after living in Georgia for 23 years, I now consider myself almost a Southerner. I live here with my husband, Rob, who is originally from New Jersey and arrived here by way of Nevada so together we make quite a good cross section of America. My glass fusing passion began, as I'm sure it does for many, with my simple attraction to the beauty of glass - the colors, the sparkle, its translucent nature. I'm such a glass geek that I find it relaxing to lay out sheets of glass and just stare at them, imagining what they could become. My prior life was in "techie" positions in corporate America so after learning that glass fusing also requires much technical knowledge and detail, it became more than just a passing hobby. It was a perfect fit for me because it combined the best of both - technical detail plus creating beautiful art - and my glass business began! I hope you enjoy looking at my creations. If you are interested in understanding more details about the fused glass process, please check out my pictures at the bottom of this page which show some of the basic steps in making a fused glass plate. Thank you for your visit and for your interest in art that is handmade in America. Welcome to my Resetar Glass Art store! I've been creating fused glass or kiln formed art for over 10 years and each piece that I make is hand cut, fired in a kiln and properly annealed to ensure it will last for many years to come. Join my email list and get 10% off your next order at: http://bit.ly/resetarglasssignup. Resetar Glass Art is owned and operated by Kellie Resetar of Roswell, Georgia, USA. To fulfill your order, you must provide me with certain information (which you authorized Etsy to provide to me), such as your name, email address, postal address, payment information, and the details of the product that you’re ordering. You may also choose to provide me with additional personal information (for a custom order of a plate or jewelry, for example), if you contact me directly. If I am deemed to transfer information about you outside of the EU, I rely on Privacy Shield as the legal basis for the transfer. You can find the Privacy Policies and Privacy Shield certifications for the third-party providers that I use at this website: https://evernote.com/privacy. For purposes of EU data protection law, I, Kellie Resetar, am the data controller of your personal information. If you have any questions or concerns, you may contact me at resetarglass@gmail.com. Alternately, you may mail me at: Resetar Glass Art, 7710 Georgetown Chase, Roswell GA 30075, USA. Pictures do not represent the actual size of an item. Please review the measurements posted in the item description for actual sizes. Pictures represent the color of items as accurately as possible on my monitor but may look slightly different on yours. You will receive a confirmation that your order was received and the expected ship date within 1 business day of placing your order. Once the order has shipped, you will receive notification with the tracking information. Most orders ship within 1 business day of order placement. 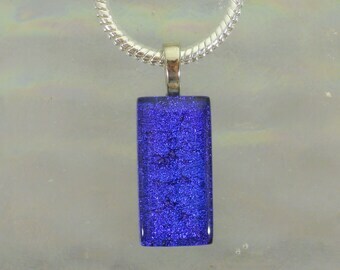 Receive a coupon for 10% off your first order by joining my email list at http://bit.ly/resetarglasssignup. By joining, you will recieve periodic emails with product updates and subscriber only discounts. I will never sell or use your contact information for other purposes.